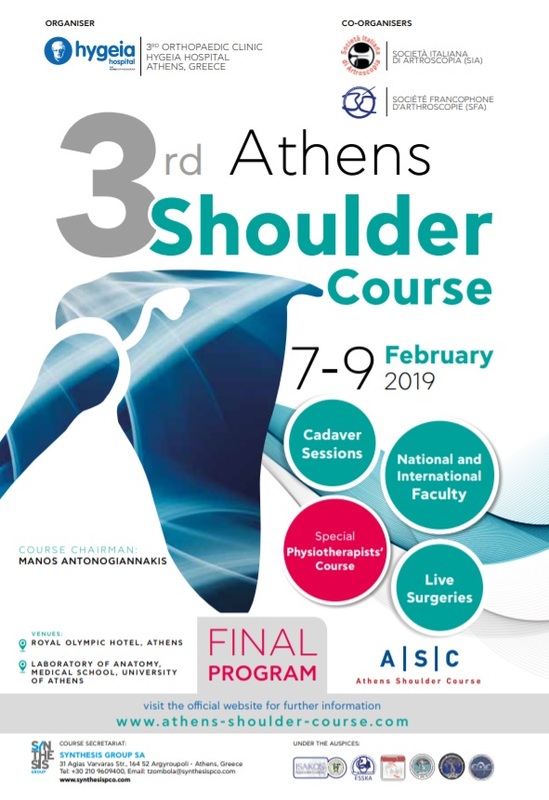 2019 was the first year to host a Special Physiotherapists’ Course alongside the 3rd Athens Shoulder Course. 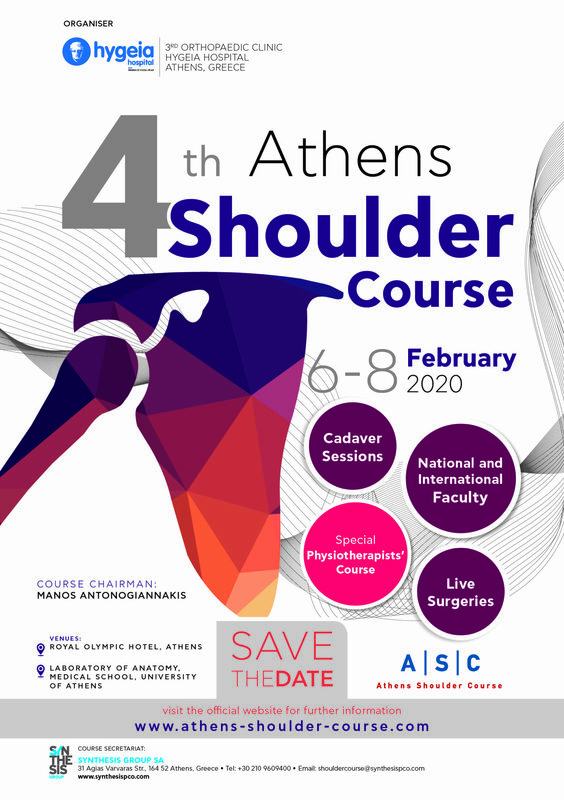 At “Royal Olympic” Hotel, the same venue, in the heart of Athens, where Athens Shoulder Course is taking place, experienced physiotherapists and shoulder surgeons from around Europe will be there to discuss all current concepts and controversies related to shoulder evaluation and treatment issues. 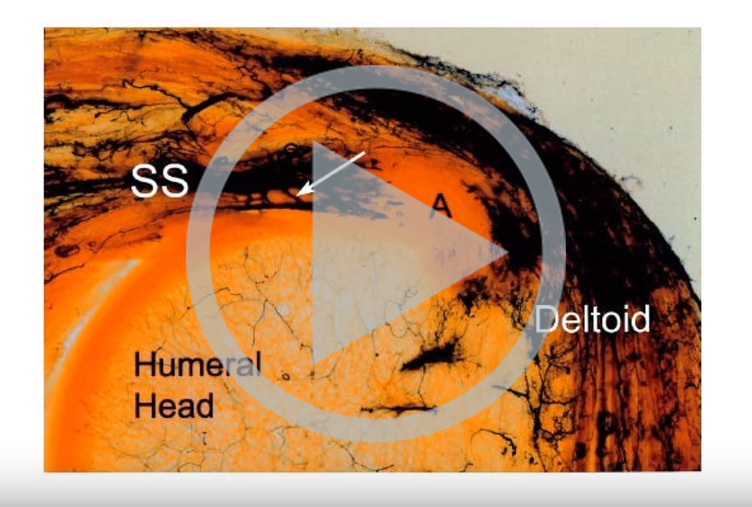 *All registered Course Physiotherapists can attend ASC theoretical part free of charge.